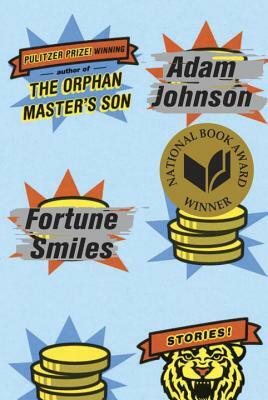 Adam Johnson is the author of Fortune Smiles, winner of the National Book Award and the Story Prize and a finalist for the Los Angeles Times Book Prize, and The Orphan Master's Son, winner of the Pulitzer Prize, the Dayton Literary Peace Prize, and the California Book Award and a finalist for the National Book Critics Circle Award. Johnson's other awards include a Guggenheim Fellowship, a Whiting Writers' Award, a National Endowment for the Arts Fellowship, and a Stegner Fellowship; he was also a finalist for the New York Public Library's Young Lions Award. His previous books are Emporium, a short story collection, and the novel Parasites Like Us. Johnson teaches creative writing at Stanford University and lives in San Francisco with his wife and children.